In a letter sent to the European Union's antitrust body, the chief executives of Spotify, streaming music firm Deezer, startup investor Rocket Internet and other Europe-based companies claim dominant internet platforms "can and do abuse their privileged position," reports the Financial Times. The European companies complain some mobile operating systems, app stores and search engines abuse their commanding marketshare to act as "gatekeepers" to consumer choice, thus impeding segment rivals attempting to market products that compete with first-party services, the letter says. While not named in the letter, Apple and Google are clearly targets of the complaint. Together, Apple's iOS and Google's Android control more than 90 percent of the mobile operating system market and maintain a set of terms and conditions that third-party apps must follow in order to market their wares on the respective app stores. In particular, internet companies argue they are not able to access analytics data when customers sign up for service through app store portals. Further, app store owners allegedly promote their own products ahead of third-party offerings. For example, Apple often publishes App Store banners advertising Apple Music, a competitor to Spotify and Deezer. The letter arrives as the commission considers a drastic overhaul of its digital policy. Among the topics of debate are allegedly unfair contracts mandated by dominant platforms. The antitrust institution is mulling the creation of an independent settlement body that would be tasked with settling disputes between large entities and smaller businesses. Addressing the discrepancy, CEOs write that common competition law is too costly and onerous, and therefore not applicable to small internet companies. Instead, a "specific rules guiding the interactions between platforms and their business users" is needed, the letter says. Today's letter is Spotify's latest attack against Apple in a seemingly endless war over streaming music supremacy. Last year, Spotify accused Apple of engaging in anti-competitive practices when a version of Spotify's iOS app was rejected from the App Store. At issue was Apple's customary 30-percent cut of all App Store revenue, which applies to in-app purchases like service subscriptions. To offset Apple's take, Spotify prices its subscription tier at $13 per month when users sign up through the iOS app, a $3 premium over the $10 users pay when registering through the web. 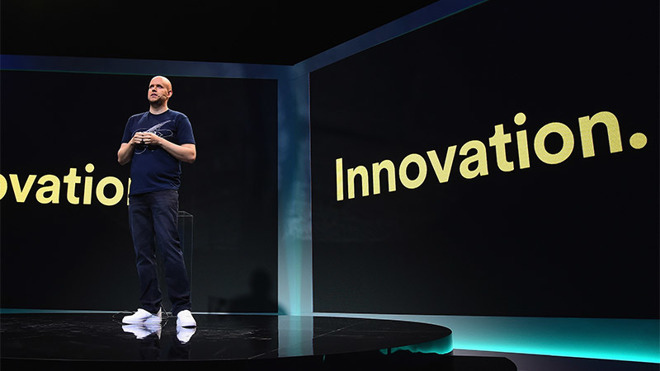 Spotify views the 30-percent cut as "a weapon to harm competitors," noting the terms allow Apple to sell its own Apple Music service for $10 per month.